After clearing customs you will be met by your representative who will guide you to your private transfer vehicle for your journey to the Bel-Aire hotel where you will be spending the first three nights of your amazing Far East holiday experience. Bangkok - the city that never sleeps! Experience a few days in Bangkok to explore this vibrant, sometimes chaotic, metropolis with a BIG reputation that it can easily live up to! It’s one of the top destinations in South East Asia and has the capacity to fulfil everyone’s expectations and more Bangkok is diverse. Wherever you look, you’ll see the old and cultured mingling with the bright and the new. The sights must be seen to be believed. Whether it’s the stunning opulence of the palaces, the noise and chaos of the street life or the extremes of the nightlife, Bangkok offers an experience not to be missed at amazing value. 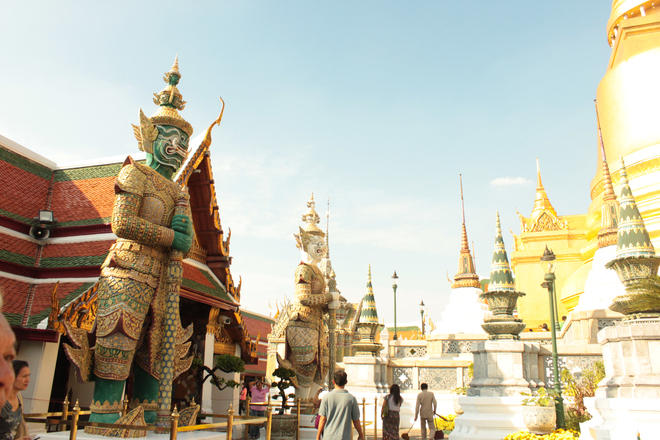 The sights - Grand Palace: Within the white walls of the Grand Palace complex lie a plethora of stunning temples. A glittering kaleidoscope of colours including the famous Aphon Phimok pavilion and Chakri Maha Prasad royal residence. Today the Palace is only used for state banquets and royal ceremonies and all visitors must dress respectfully with shorts and short skirts forbidden. Wat Phra Kaeo: The ’Temple of the Emerald Buddha’, adjoining the Grand Palace and the holiest shrine to the Thai Buddhists. Wat Po: Bangkok’s largest and oldest temple. Few statues are more impressive than the mammoth Reclining Buddha. Chao Phraya River: The "River of Kings" where life began for Bangkok along the banks of this famed river. It is now the vibrant focal point in the heart of the city and a hub of local activity bringing the rich produce from the fertile north. Jim Thompson’s House: An original Thai-style house amidst lush gardens and home to the remarkable American who came to Thailand and revived the Thai silk industry. Floating Market: Located outside Bangkok, this is a must-see, bright, bustling, loud, and colourful and a world away from our idea of a market. BelAire Bangkok is a contemporary hotel in the heart of downtown Bangkok on the lively Sukhumvit Road surrounded by the very best the city has to offer. The prime location places you within walking distance of the sky-train offering numerous connections to corporate offices, shopping malls, dining, entertainment, Bumrungrad Hospital and International Airports. There are 152 modern rooms and suites available in four classes catering to business and leisure guests with creative interiors and comfortable furnishings. The distinctive Club Tribeca Room and BelAire Suite not only provide a luxury environment for private relaxation, but exceptional benefits for esteemed clients including access to the distinctive Club Tribeca Lounge. Their service is from the heart and can be felt in every aspect of their hospitality, from the warm greeting at the stylish lobby to the food and beverage service at the Blue Poolside Bar, Tiffin Restaurant and Liquid Lounge. In addition to delicious dining, guests staying at this hotel in Bangkok can enjoy the superb recreation facilities with an outdoor swimming pool, Flex Fitness Gym and treatments at the Sukavadee Spa. Dining – The hotel offers a repertoire of cuisines from Indian, Thai to Western that will delight and nourish the most demanding appetite. Facilities - BelAire Bangkok provides first class facilities for guests to enjoy quality downtime in comfort and style giving renewed energy to face another day on the bustling city streets. Flex Fitness Studio - Equipped with a comprehensive range of equipment that will meet the needs of each guest desired level of fitness. Complimentary use for all guest residing at BelAire Bangkok. Swimming Pool - The spacious outdoor pool is a great place to keep cool during the day. Simply lie back and relax on a chic lounger with a cool drink from the Blue poolside bar. Blue Poolside Bar - The attentive staff at the Blue Poolside Bar will ensure you are refreshed with cool drinks, light bites and delicious ice-cream as you enjoy sunbathing and swimming at the pool. Sukavadee Traditional Thai Massage - The independently operated spa on the third floor offers a range of massages and spa treatments that release tension and reduce stress leaving your mind and body calm and relaxed. The experienced therapists specialise in traditional Thai massage, an ancient healing massage that delivers numerous health benefits and renewed energy. Thai Cooking Class - Thailand has unquestionably got one of the most popular cuisines in the world created with a unique blend of fresh local ingredients that tantalise the taste buds. Learn how to create classic Thai dishes with their in-house cooking course and take home the skills to recreate the delicious flavours you enjoyed on your visit. Elephant Hills is Thailand’s first luxury jungle camp combining the experience of an African Safari with a Thai Forest setting. 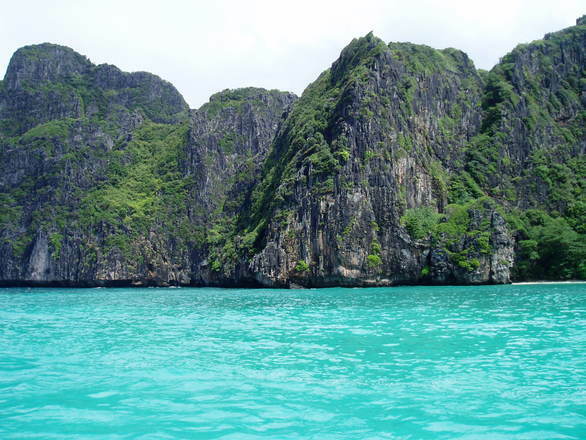 The scenery is dramatic; jungle covered limestone peaks and a forest with an array of animals and plants. Accommodation is in 30 luxurious tents, all with an en suite bathroom. The tents are spacious and well protected against mosquitoes and other intruders. There is an attractive restaurant, a log fire to sit around with drinks and a swimming pool. A 2 hour guided Canoe tour and elephant experience are all included. The New Jungle Lake Camp is 10 luxury floating tents, set spectacularly on Cheow Larn Lake. Each floating tent includes an en suite bathroom, a comfortable double bed and a sun deck to sit and enjoy the amazing views of the lake and the Rainforest Mountains. Guests can canoe off from their own deck (canoe hire included) to explore the lake and perhaps spot the monkeys or array of birdlife. Guided canoe tours & optional jungle treks are also included. Facilities include a restaurant and bar. On arrival at the resort enjoy lunch before a Canoe Safari down the Sok River. In the afternoon enjoy the 'Elephant Experience'. Interact with the Elephants and learn the secrets of their mahouts. You will prepare and feed the elephants one of their daily meals, scrub and clean and watch them bathe. Note: Elephant Hills is all about caring for the elephants, there is no riding on, or trekking with the Elephants. This is truly a once in a lifetime chance to experience the Asian Elephant, the largest land animal in this part of the world. Late afternoon opt to relax by the pool, watch the Thai cooking demonstration, then dinner and overnight. After breakfast depart by truck and then by long-tailed boat to the luxury floating tents on Cheow Larn Lake. A stop is made at a local market en route. Enjoy self-paddle canoeing on the lake and look out for monkeys swinging through the trees. Lunch and dinner and overnight. Breakfast and a choice of relaxing by the lake with a swim or canoe or a guided jungle trek in the rain-forest. After lunch, transfer onto your next location by boat and road transfer arriving approximately 17:00. At the end of the Safari you’ll take a shared transfer to the Andaman Beach Suites in Phuket where you can relax and enjoy the last 5 days of your fabulous holiday. 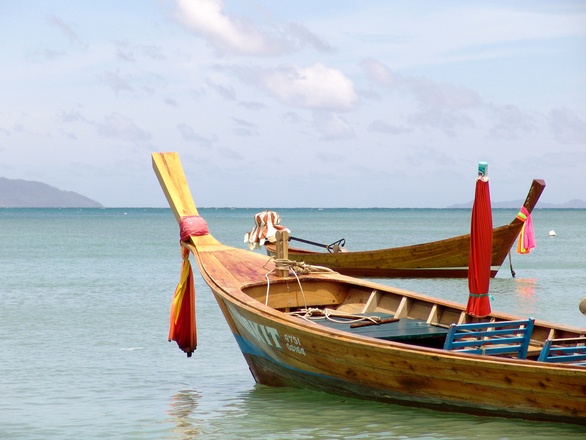 As one of the premier tourist destinations in Thailand, Phuket has innumerable activities to participate in, ensuring that visitors with any interest will find something to keep them entertained on their Phuket holiday. Most restaurants on Phuket serve a variety of cuisines, including Thai and international foods. Most guesthouse and resorts have restaurants that serve both, while in the more popular beaches, such as Patong, there are restaurants specialising in various international cuisines, such as Italian and German. Beachside, seafood barbecue restaurants are also common, as dining on fresh seafood is certainly a Phuket attraction. Thanks to the diversity of visitors to Phuket and the variety of restaurants established to cater to them, tourists are hardly starved for choice when dining on Phuket. 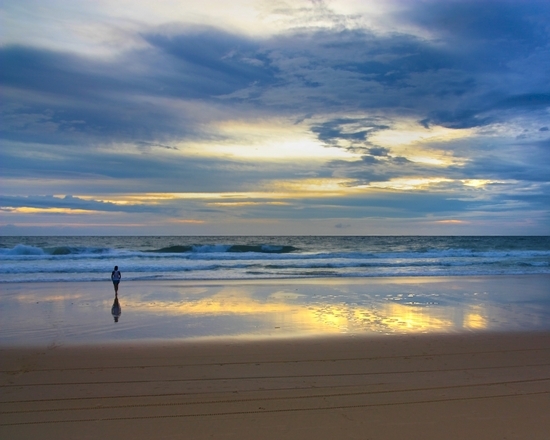 A perfect sea view is there to welcome you at the Andaman Beach Suites Hotel. One of a few high-rise building on Phuket’s Patong Beach, the Andaman Beach Suites Hotel invites you to enjoy a panoramic vista of lush green hill-slopes, sparkling blue sea and shimmering white sand. Be spoiled a variety of shops, restaurants, bars and spa centres, then hit the oceanfront and beach side promenade for some well-deserved relaxation. Whatever your choice may be, the Andaman Beach Suites Hotel is confident that each will be a pleasant and enjoyable one during your stay. The Suites Restaurant - Eat your fill at The Suites Restaurant, conveniently located on the 3rd floor. With over 80 seats in the dining area, they are able to cater to the individual traveller or large tour groups and functions. Enjoy your meals alfresco by the poolside or in air-conditioned comfort, and let their friendly staff serve you delicious Thai and International cuisine all day from 6.00 - 23.00 hrs. Sea Breeze Deck - Relaxing, conveniently located on upper deck 3rd floor. With over 60 seats in the dining area, they are able to cater to the individual traveller or large tour groups and functions such as barbeque night or the others culinary. Enjoy your sunset view and let our friendly staff serve you delicious Thai, Asian and International every day from 11.00 - 23.00 hrs. 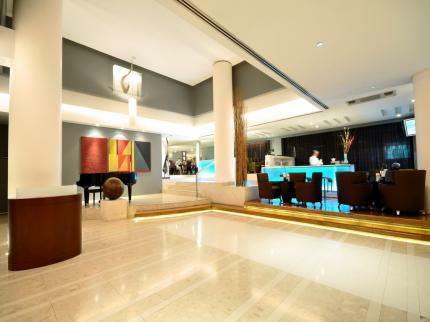 Lobby Bar 3rd Floor - The Leisure Centre Lobby located on the 3rd Floor will keep you coming back for more! Be it dining, business or just simple relaxation, our Leisure Centre has something for everyone, and will keep treasured guests occupied and entertained for hours. Swimming Pool - Perfect for swimming and lazing in the sun or just soaking in the water, the spacious pool deck provides shady gazebos, comfy loungers and a smaller wading section with a fun slide for the young-in-age or young-at-heart to splash around in. Internet Corner - The Internet Corner comes with top of the line computers equipped with the necessary audio/visual communication tools the Internet savvy traveller requires. Fitness Room - Hit the gym before you hit the beach! The fully equipped Fitness Centre will help you keep trim and fit whether you're into light morning jogs or heavy weight-lifting. Tennis Courts - Serve up some fun at the fully equipped tennis courts! Stay on top of your game while you're on holiday: the friendly Activities Staff will gladly help you work on that killer backhand.